Flow | please select from the sub categories below. 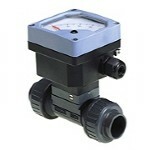 DG Instruments Pty Ltd stocks everything you need concerning the measurement and control of flow. Browse the subcategories below to choose from our massive range of flow meters, transmitters, switches, indicators, monitors and other flow instrument accessories. We stock top quality flow instrumentation products from leading Australian and international manufactures – MacNaught, Finetek, Meister, Burkert, Dwyer, Tecfluid and others! contact us for further product enquiries or information. A huge range of different flow meters and transmitters for water like fluids, oils, gases and chemicals, suitable for varying needs and applications. Different style - metal, glass and plastic tube and float variable area flow metres for measurement and control of gases, clear liquids and chemicals. Variety of sized and adjustable flow switches, including vane operated, mini-size and thermal dispersion flow switches. Adjustable electromagnetic flowmeters for all conductive liquids, ideal for potable water, slurries, sewerage, bore water and chemicals. Choose from a range different rate of flow indication devices to cater for fuel, oils and liquids; or air and gases. Huge range of different series flow meters for fuels and oils, solvents and industrial uses, from Australian manufacturer MacNaught. Efficient and accurate devices for measuring air flow, with multi-functional sensors, monitors and transmitters. A range of different size and purpose flow monitors for gases and liquids, with different display settings and options from Meister. Choose from a number of different sizes and materials, with plain, spinning rotor or flapping design sight flow indicators from Dwyer. Flow limiters and regulating needle valves to cater for all needs to maintain, adjust, restrict and control flow.